Sign Up for Payroll Deduction Today! Our very own Fantastic 5 are facing a challenge they have never faced before…and this is the biggest challenge yet in their Super Hero Careers! In 2019 the challenge is so big that not even this Executive team of crusaders can handle this crisis alone……they need to find a way to make it possible for the CPTC Foundation to provide emergency assistance, scholarships and vital support to CPTC and its students more than EVER!! So where do the world’s most powerful superhero’s go for help when threats are too massive for any single hero to handle? To the CPTC Justice League of course… this is a key group of heroes on our campus who support students with payroll deductions. But the threat is much higher this year, and the challenge is greater than it has ever been. 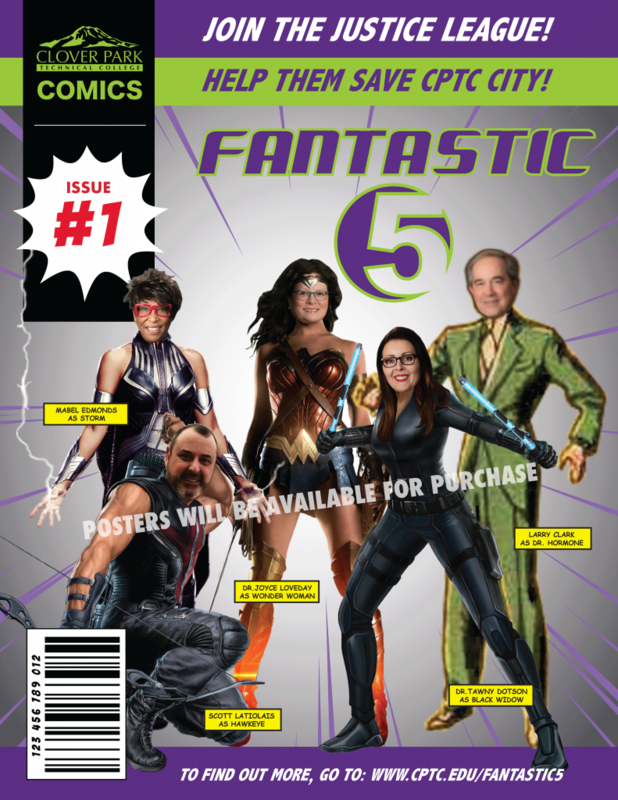 The Fantastic 5 and the CPTC Justice League need YOU to be part of their team. In order to save CPTC City, they need to recruit 60 more people in our city to become part of the CPTC Justice League. Please consider a payroll deduction of any amount this year to support the college and our students. As little as $5.00 per paycheck can make a difference. If you are a current donor, please consider increasing your deduction a small amount. If you join the CPTC Justice League (by signing up for payroll deduction of $5 or more) you will receive your 2019 Justice League Club Card (with many perks throughout the year), and the key to CPTC City. If you currently give $5 or more through payroll deduction, your card will be placed in your box. But most importantly you will be part of a great team of Super Heroes where our Super Power is supporting our students!